is to promote educational equity by providing free, overnight environmental learning experiences for students who don’t otherwise get the opportunity. 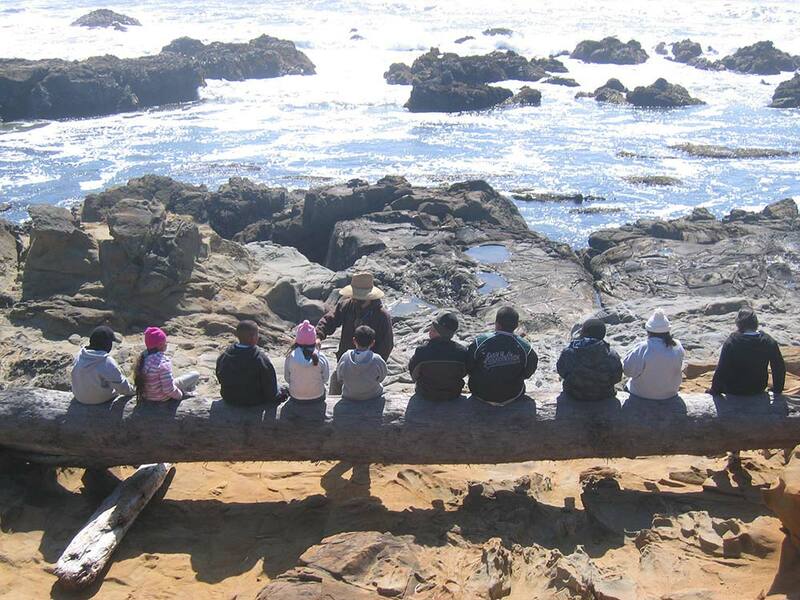 Many students from low-income communities in the Bay Area have never walked in the redwoods, explored the beaches of the Pacific Ocean, harvested food straight from the source, sung songs around a campfire, or been able to explore beyond their neighborhoods. A large and growing body of data indicate numerous positive outcomes of time spent in nature, from reduced biological measures of stress in the body, to improved test scores, to long-term improvements in self-esteem, cooperation and conflict resolution. Yet, youth from low-income communities have disproportionately less access to such experiences. Vida Verde provides students from low-income, under-served schools with the powerful opportunity spend immersive time in nature and to improve their academic performance and classroom behavior, to develop the social and emotional skills that will help them be successful, and to establish meaningful connections with nature. “It’s our belief that all kids are good, all kids can succeed, and it’s our job to give them the opportunities to realize their strengths,” Shawn Sears, Co-Founder and Executive Director of Vida Verde. 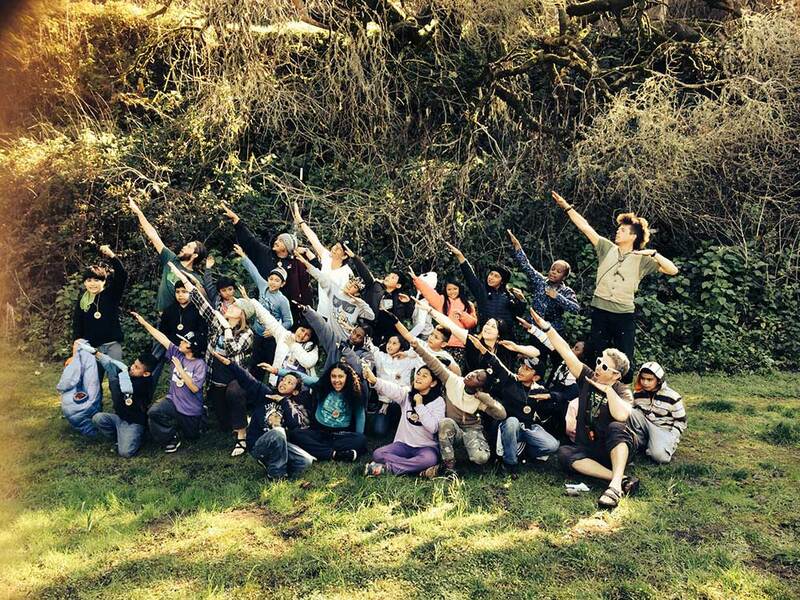 Since 2001, Vida Verde has been positively and powerfully impacting Bay Area students’ academic performance, character development, and connection to the outdoors. 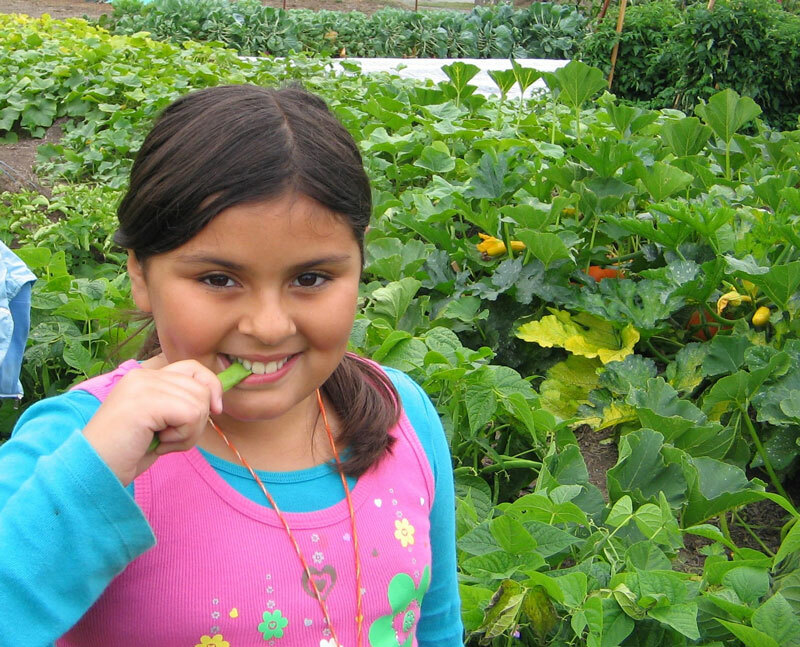 Vida Verde is a unique program that is specifically designed to ensure success and long-term positive impacts for Bay Area youth from under-resourced, inner-city schools. The Vida Verde Program is a three-day overnight, activity-packed experience! Each camping trip at Vida Verde is a three-day overnight, activity-packed experience which takes place at our 100-acre site and farm, and at nearby state parks and beaches. 1. Nature Hike in the Redwoods. 2. Goat Milking & Cheese Making. 3. Tidepool, Beach & Marsh Exploration. 4. Night-time Hike & Trust Walk. 5. Organic Farm Tour & Taste. To ensure that the students succeed, the trip is carefully structured with eye-opening, fun activities coupled with clear and attainable expectations, consistency, and opportunities to recognize and reflect upon successes. With this foundation in place, the program is a vehicle through which we achieve our overarching goal: to positively and powerfully impact our students’ academic performance, character development, and connection to the outdoors. 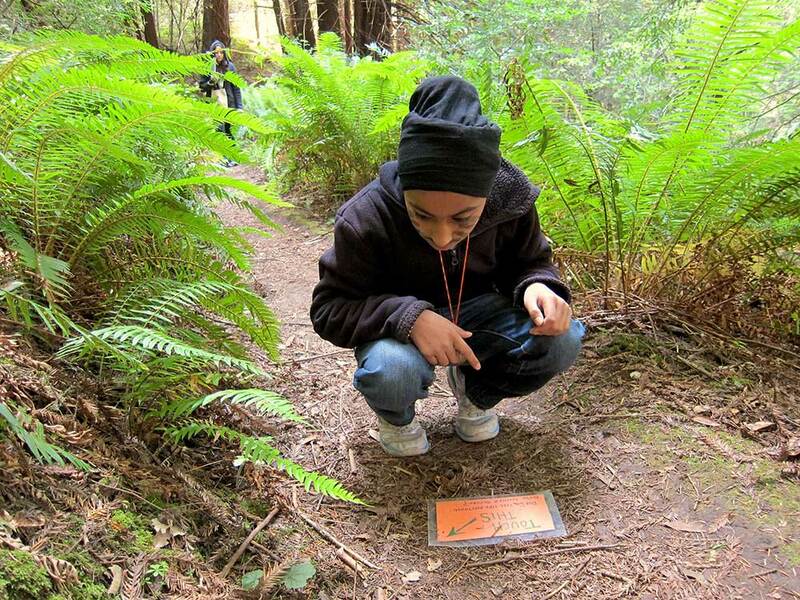 On an adventurous hike through the redwood forest in Sam McDonald County Park (minutes from Vida Verde’s site), students meet a 1000 year-old tree, find evidence of the genius of nature’s cycles, identify animal tracks, challenge themselves on a card-guided “alone hike”, and learn to identify many native and invasive plants. We also introduce students to the wealth of local parks and open spaces, explaining to them that these places are theirs to enjoy. Students realize where milk actually comes from when they get up close with our goats! Each gets the chance to squeeze milk from a teat and make fresh cheese, all the while learning exciting facts about mammals, and basic goat anatomy and terminology. The cycle of learning is complete when they enjoy their homemade cheese with dinner. Near the exciting crashing waves of the Pacific, with harbor seals and cormorants watching from nearby rocks, campers go on guided explorations through coastal tide pools. They discover sea stars, rock crabs, mussels, barnacles, chitons, limpets, anemones, kelp, and much more! A hike through the nearby Pescadero Marsh includes bird watching, a visit to the famous “talking tree”, and lessons in marsh and beach ecology. In a safe and supportive environment, the group is challenged to leave electric lights, and their comfort zones, behind as they face real fears of the dark and of being outside at night. Through appropriate challenges, teamwork, and facilitated reflection, they learn to overcome their fears and recognize themselves as courageous and capable. Students visit Vida Verde’s educational farm, where they meet our farmer and gain a deeper understanding of where their food comes from. Hands-on learning is at its best as the group directly engages with concepts like photosynthesis, pollination, the six plant parts, and organic pest control. 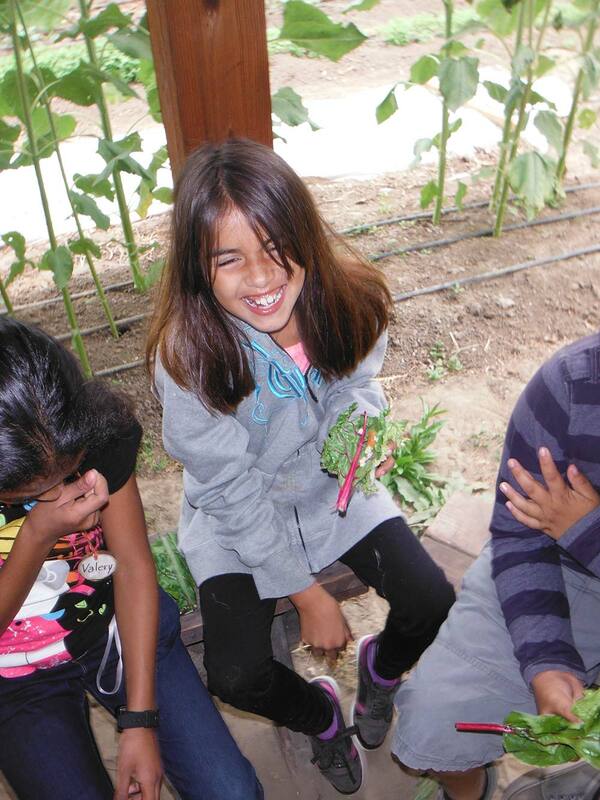 Students taste fresh veggies they harvest themselves, and let the learning take place in their mouths! The trip also includes cooking and cleaning up as a class, teambuilding games, exercise, arts and crafts, a campfire, camping out in our magnificent teepees, and more. The activities are “first-time” experiences for most of the children served. Vida Verde’s lessons and activities are linked to California state education standards, and help bring to life what students have only read about in textbooks. Learning becomes more relevant and connections are made in the classroom long after the trip is over. With a strong focus on teamwork, group process, and communication skills, the Vida Verde experience helps students work together and trust each other back in the classroom; this is beneficial for achieving academic goals, particularly as they relate to the new Common Core Standards’ focus on collaboration. 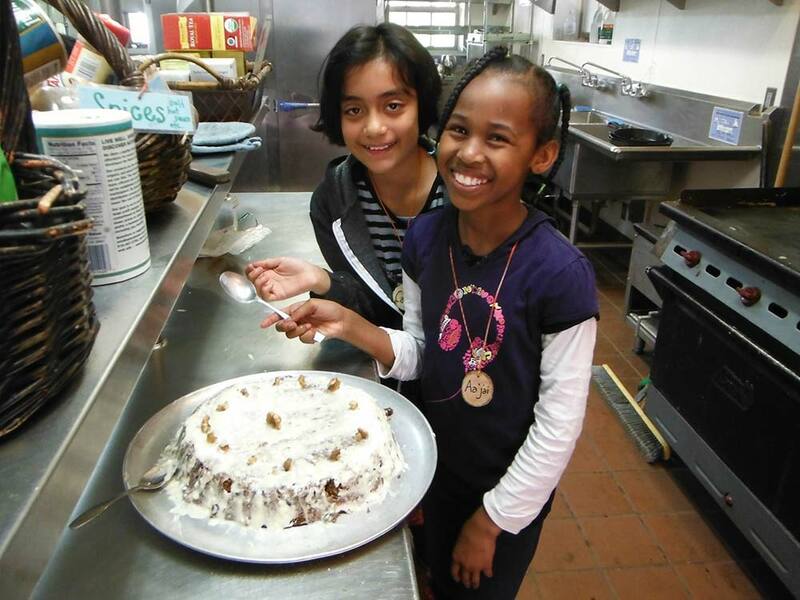 While at Vida Verde, students are pushed to try dozens of new things and are given achievable challenges at every turn. As a result, their self-confidence, determination, and persistence grow by leaps and bounds. Students are given jobs to do during each activity at Vida Verde, and are held to high expectations. This leads to an increase in personal responsibility that goes beyond their three days in the program. Positivity is a central value that is fostered and encouraged at Vida Verde. Along with a strong focus on positive behavior management, the Vida Verde Instructors are constant role models of positivity in every activity from washing dishes, to their use of educational music, to milking the goats. First-time, positive connections to nature occur constantly throughout the Vida Verde experience. 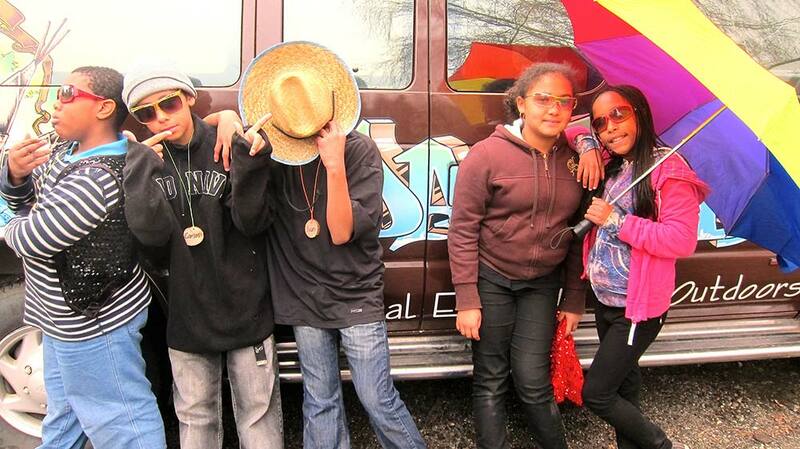 These experiences are essential to engaging urban youth as environmental stewards: they help the students build context, and inspire them to take ownership and responsibility. Further, we intentionally introduce students to a wealth of public parks and beaches, and teach them that these places are theirs to enjoy – and care for. 98% rated the overall benefit to students “Exceptional” (highest possible rating). 98% rated student enjoyment “Exceptional”. “I work as an Elementary Science Specialist in the Oakland Unified School District. In my 12 year career as a science educator in high-poverty public schools, I have worked with dozens of science museums,outdoor education programs, and science outreach organizations across the greater San Francisco Bay Area. There is no other program that compares to Vida Verde. Vida Verde is the only one I volunteer my time with and encourage friends and family to support. 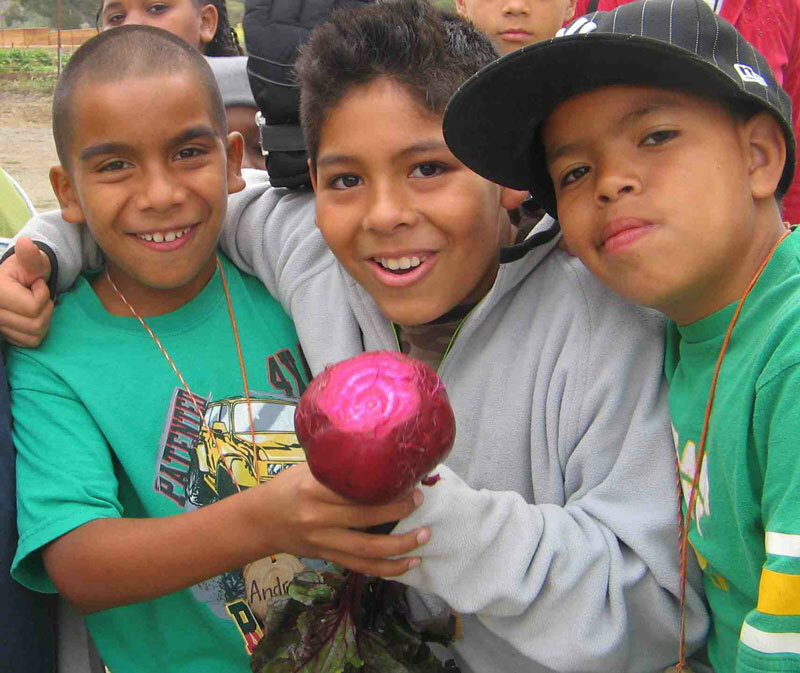 While other programs may offer scholarships to low-income students, Vida Verde’s specialization has enabled it to tailor its program to the unique social-emotional and learning needs of low-income, urban students. The impact of Vida Verde on students is profound. The impact is deep, lasting, and doesn’t end with the students who get to attend a three-day Vida Verde program. The impact spreads through their families and their communities." At least 700 students in fourth through sixth grades (ages 10-12), their teachers, mentors, and chaperones take part in our programs each school year. 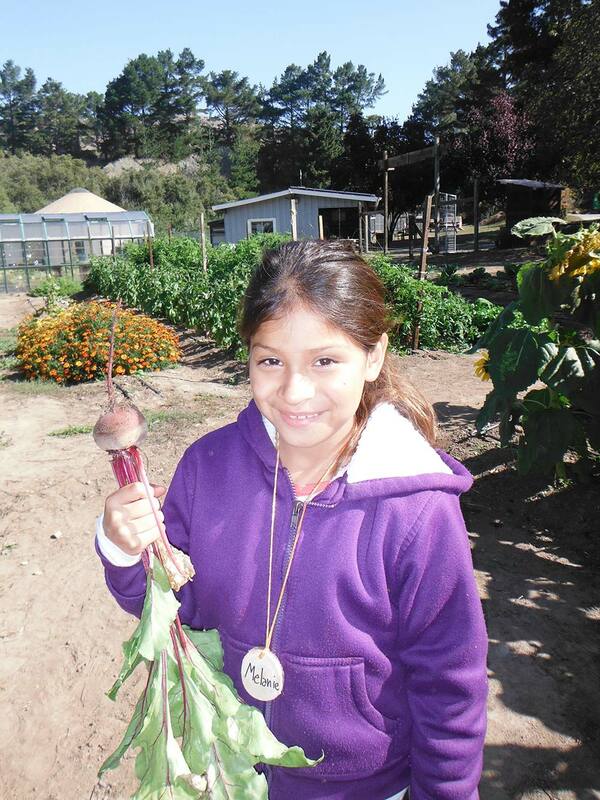 Vida Verde students travel to our site from throughout the San Francisco Bay Area. 99% of the students are youth of color, over 85% qualify for free/reduced-price lunch programs in their schools, and none of them would otherwise get the chance to participate in outdoor education programs. The majority of the students come from returning schools or with teachers who have come in the past.